When iphone cracked or not working,do you search the nearest apple repair store? if you known how to how to fix iphone screen or replace Battery,it's time to show your strong hands-on skills. 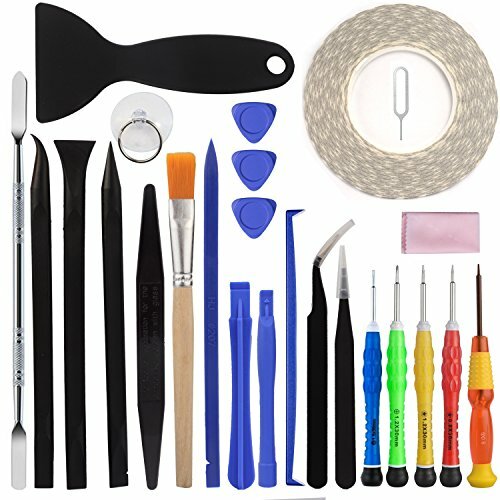 For iPhone 7/7Plus/6/6s/6Plus/5/5S/5C/4/4S cellphone Repair Tools, iPad Air/Air2/mini, iPod DIY Repair Tools kit, Complete inclusive iPhone DIY repair tools, including Philips Head, Flat Head, Pentalobe, Spudger, Reducing the DIY Repairing Risk. 5-Point Pentalobe Screwdriver, 0.6Y Screwdriver for iPhone7, Magnetized , Get iPhone's screws out easily ,Not to lose screw when reparing cracked digitizer screen and battery. Opening Pry Tool for iPhone Opening and Component Disassembly. Open your cellphone, fix screen, battery and charger port easily. If you have any questions about this product by FindUWill, contact us by completing and submitting the form below. If you are looking for a specif part number, please include it with your message.